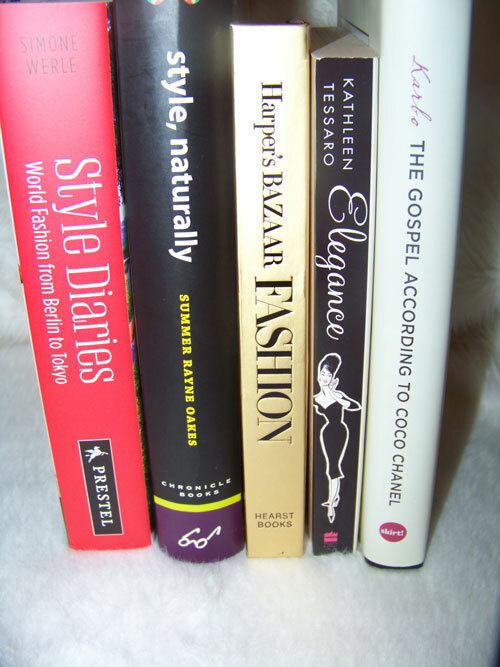 Lately, I’ve really been into wanting to read all of the great fashion books out there (and there are many, many to choose from!) to learn about different styles, fashion history and just more about the industry. I wanted to share with you all some great books that I recently received as gifts that I would highly recommend! 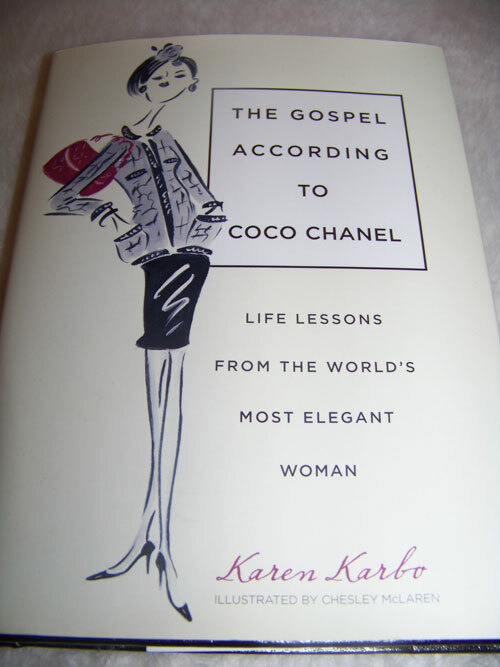 ‘The Gospel According To Coco Chanel’ By Karen Karbo was given to me by one of my very best friends, Nidhi, for Christmas this past year! It was so thoughtful (and she knows me all too well!!) 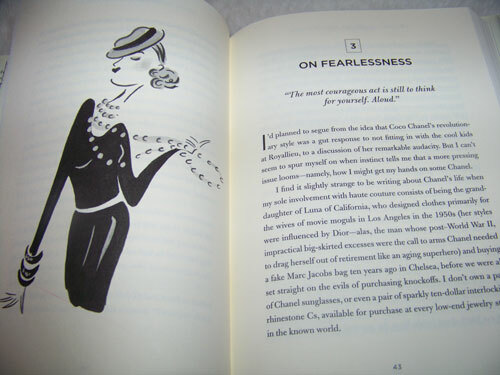 It is a great story about Coco Chanel and different life lessons from one of the world’s most elegent woman and fashion icons. Each chapter explores Chanel’s philosophy on a range of themes – from style, self-invention, fearlessness and success to embracing the moment, femininity and living live on your own terms. 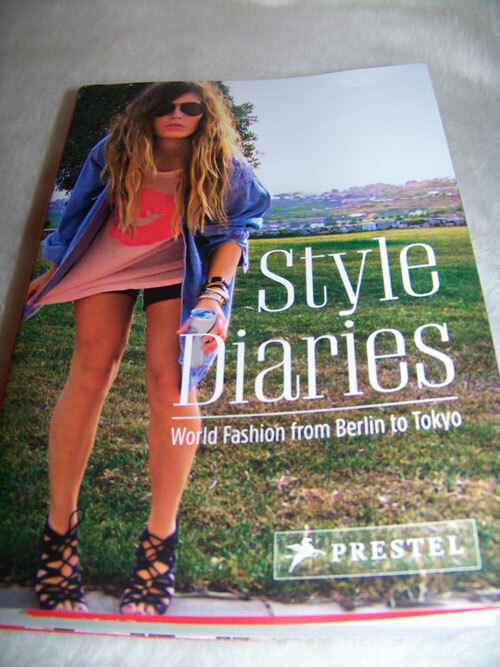 ‘Style Diaries’ By Simone Werle was given to me by my wonderful brother, David, and his lovely girlfriend, Devin – they also know me very well! This is such an awesome book that literally is a diary of different fashion blogs from people around the world – men and woman – from Berlin to Tokyo and inbetween! Fashion is clearly all over the world now and extends beyond Paris, Milan and New York and there has been a revolution with many people that share the common interest of fashion that have taken their camera, created a blog and now share with the world their sense of fashion. ‘Style, Naturally’ by Summer Rayne Oakes given to me by my lovely husband (who is also my photographer for my fashion diary!). This is a great book that is a savvy shopping guide to sustainable fashion and beauty looking at clothes, shoes, beauty products, handbags, jewelry and more! ‘Harper’s Bazaar Fashion – Your Guide to Personal Style’ By Lisa Armstrong is something I blogged about a few months ago and bring back here because it is definitely worth checking out! ‘Elegance’ by Kathleen Tessaro was something that I discovered a book sale and it was ‘The Sunday Times’ Bestseller. It’s more a story about love and also looks at a few characters life as they transfrom to a more true elegenace that wasn’t there before. A fun ‘chic flic’ type of read. 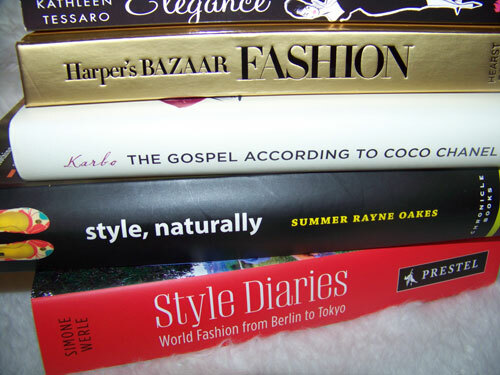 Any other fashion books that you love and would recommend??! ?